Some of you may have already know how to make a blog on Blogger already but I just want to make this post so that we could guide those wanna be bloggers and help them out in creating their own free blog on Blogger. If you’re one of these people who wants to know and new to this, here are the things that you should have when you want to find out on how to make a blog on Blogspot. - Blogger or Blogspot is owned by Google. If you already have a Gmail account or any account under Google, you could use this on your Blogger blog. Same User ID and password with other accounts you have on Google can be used in Blogger. - As for me, before I create another blog I think of what topic I want to discuss with the audience. A topic and a niche I want to pursue that my audience could have a benefit of, a niche that I love and not because it’s on demand. It’s hard to blog about a topic that you don’t even love or at least an interest, so make sure you’ve got the determination to do it! If you have the determination, then go on and learn how to make a blog on Blogspot through this post. Another thing is that I base the name of the blog according to my niche. Just like when I decided to create Bloggers Tech, I told myself that I want to have a blog that I (with other interested bloggers to post here) could help out other bloggers and who want to be bloggers. So it’s like I’m the tech support of bloggers? Tekki blogger? Tech Blog? And then come up with the name Bloggers Tech. Design and content will be an issue later on. Let’s just have and build our blog. That’s why we have this topic how to make a blog on Blogspot to help you out and guiding you. Yes! It is free but the URL of your blog wouldn’t be your own domain. The address of your blog would be like YOURBLOGNAME.blogspot.com and not like BloggersTech.com. But if you want to buy your own domain, you can have your own Blogger blog have its own domain, just like Bloggers Tech. *Why it is for free? As you know Google also have Google AdSense, and they want to offer you a free blog hosting because they want to make money through Google AdSense where you too could make money from. *Can I customize my blog? -Yes! You can upload your own template or the template that you downloaded. There are themes that don’t work anymore, and you might need some knowledge on at least basic HTML and CSS to fix it but these can be just searched online. Else, you can hire someone else to customize your blog, like me! You don’t have to learn how to make a blog on Blogger anymore and stress yourself in making your blog look better when you hire someone to do the job, but if you could do it yourself then why not? Anyway, just watch the video I prepared below and I hope this would help you out step by step. *Don’t make your blog URL too long. *Use check availability before entering captcha and clicking next. So you don’t have to go over and over again. Reloading the page and entering the captcha. 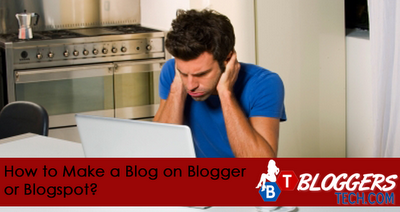 *The theme you chose on creating the blog is not permanent. You can change and customize it after creating your blog successfully. By the way, I apologize if my voice there is so….so… BORING! I was sleepy when I recorded that and my only free time is during at night. Hope I didn’t make you fall asleep. LOL. Anyway, if you’ve got some questions, concerns or anything that you would like to find out on how to make a blog on Blogger for free, then just leave it as a comment below and I’ll try to get back to you as soon as I can.